Two of our marketing and webmaster data sources from Google had issues last week. 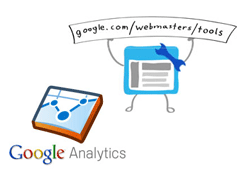 Google Webmaster Tools data stopped updating and a whole day disappeared in Google Analytics. We're sorry for our unusually bad case of the Mondays. We've fixed the issue and no data was lost. Analytics users should start seeing any missed information by the end of the day. The search queries data is currently a bit delayed. It should catch back up over the next couple days though. Sorry about the trouble this causes in the meantime, and thanks for your patience! I personally see data as of February 10th, so still seven days delayed, but it does seem to be processing and should catch back up to the normal two-day delay.